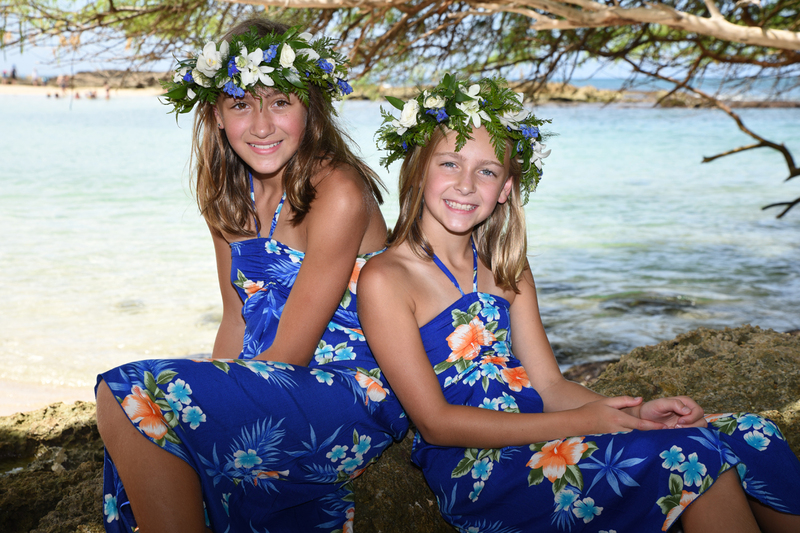 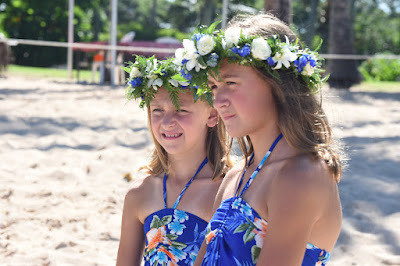 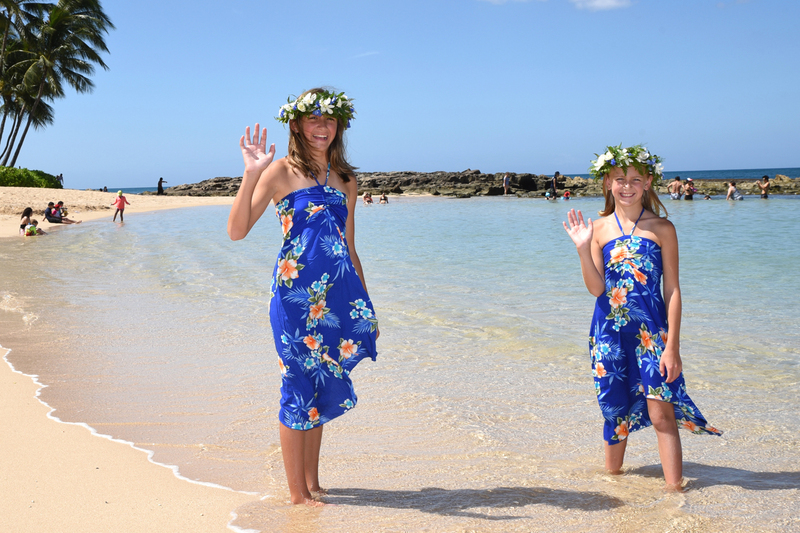 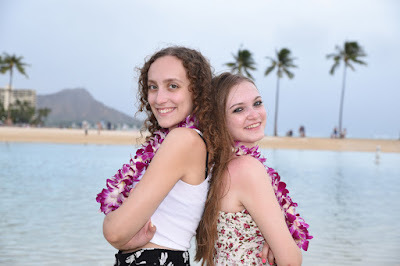 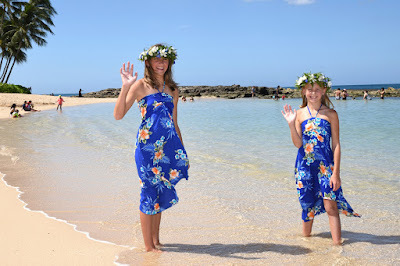 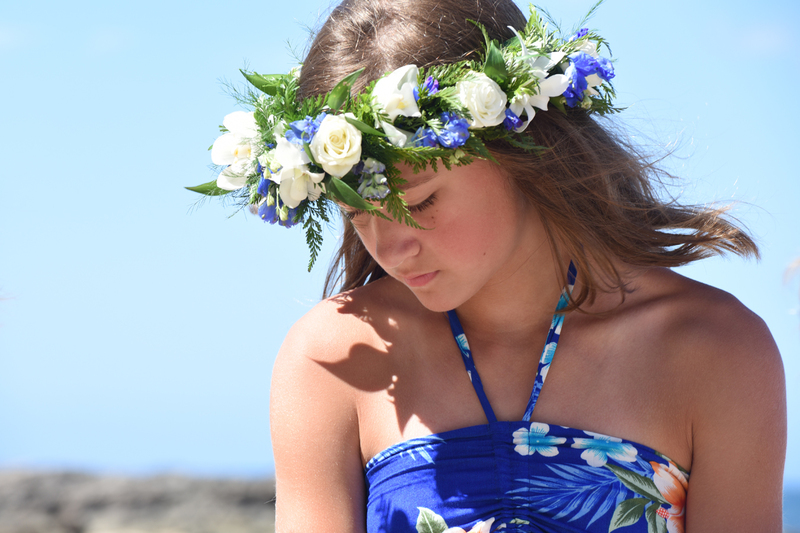 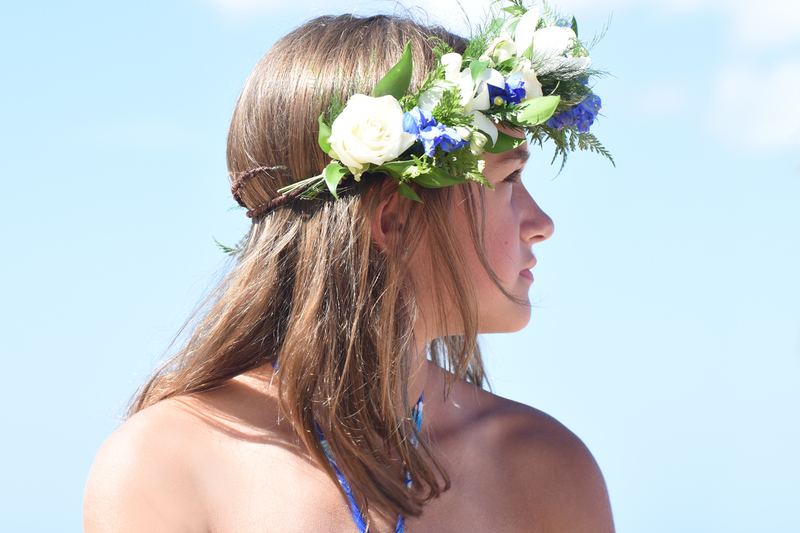 Two young sisters dress up in aloha wear to be Mom and Dad's little bridesmaids at Paradise Cove. Robert and Stephanne's photogenic daughters. 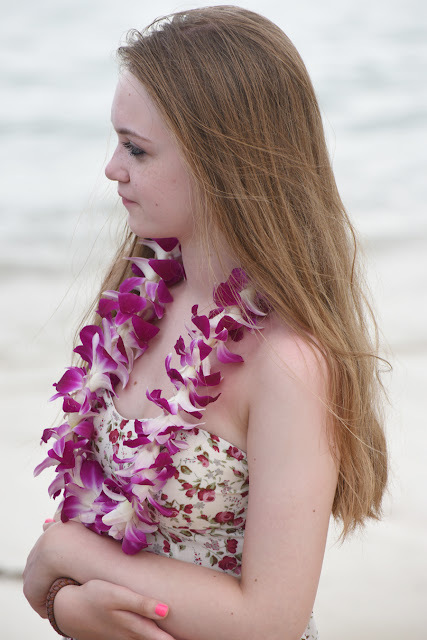 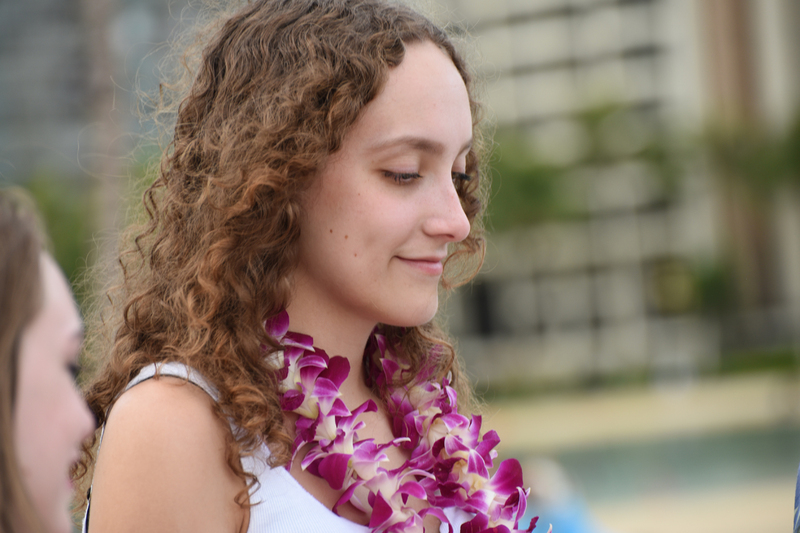 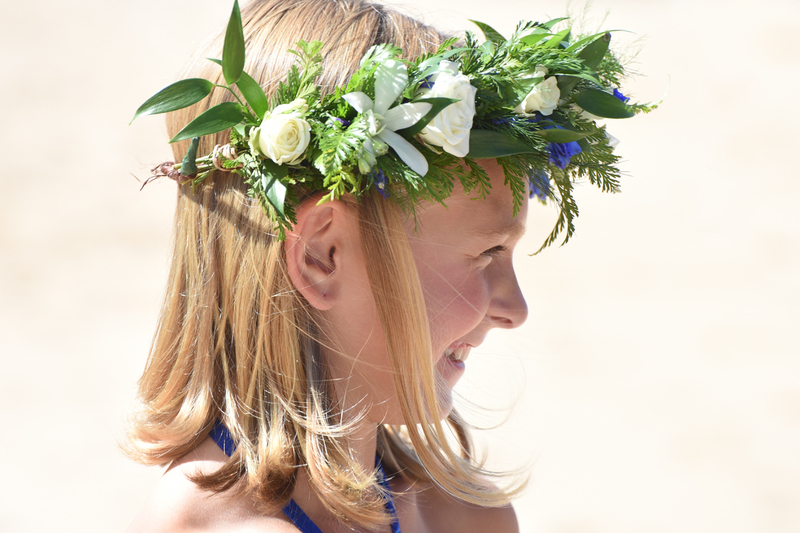 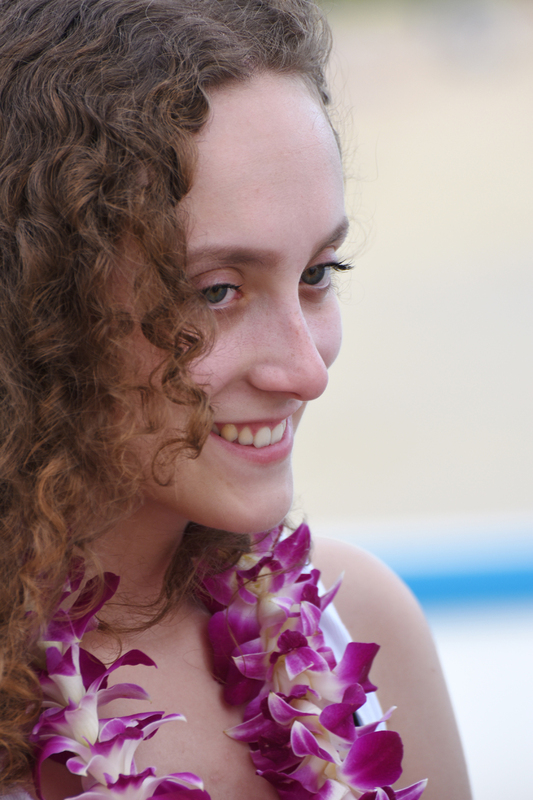 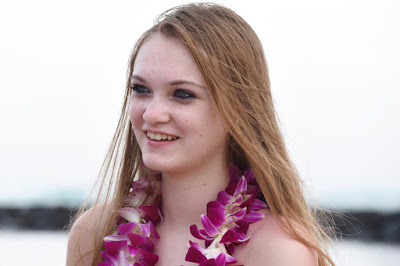 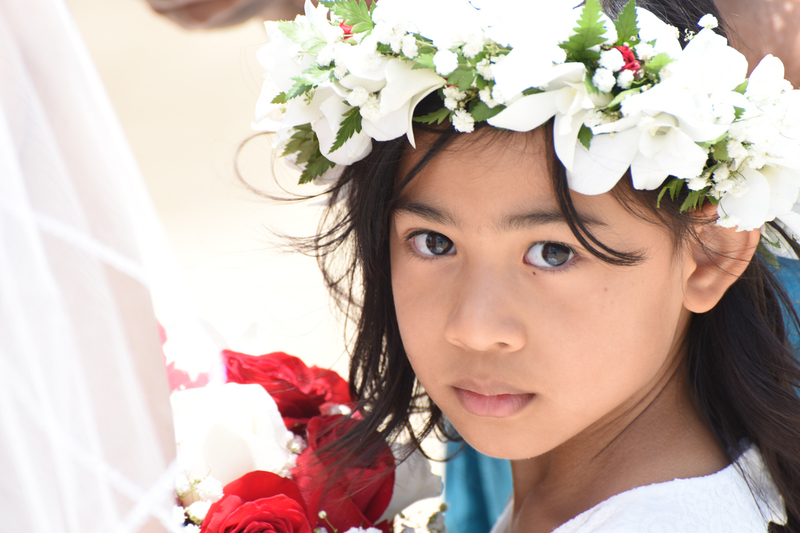 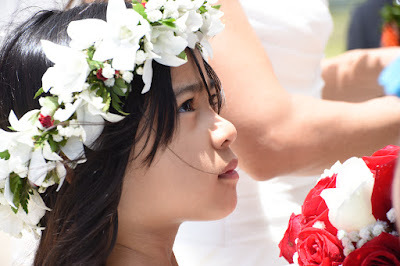 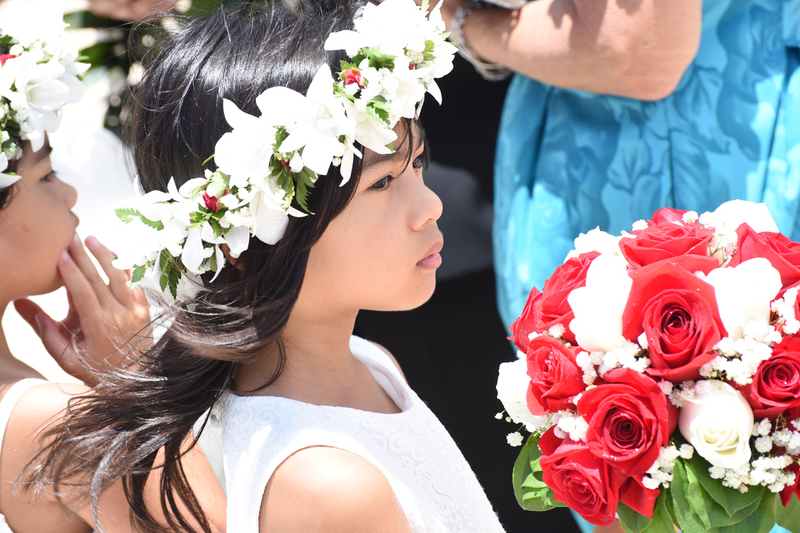 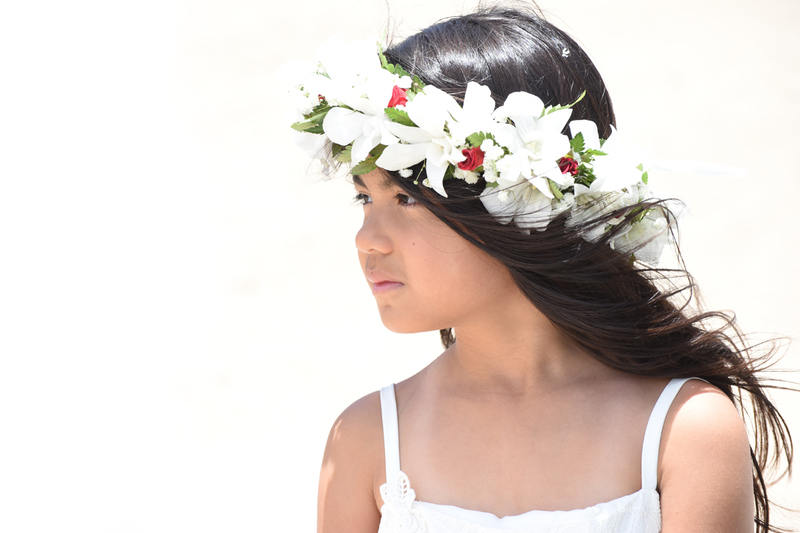 Bring your children to your wedding vow renewal and get more pictures. 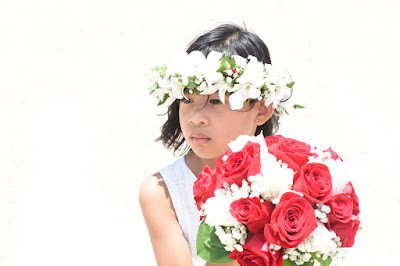 The Photographer is already there anyway, go ahead and use him. 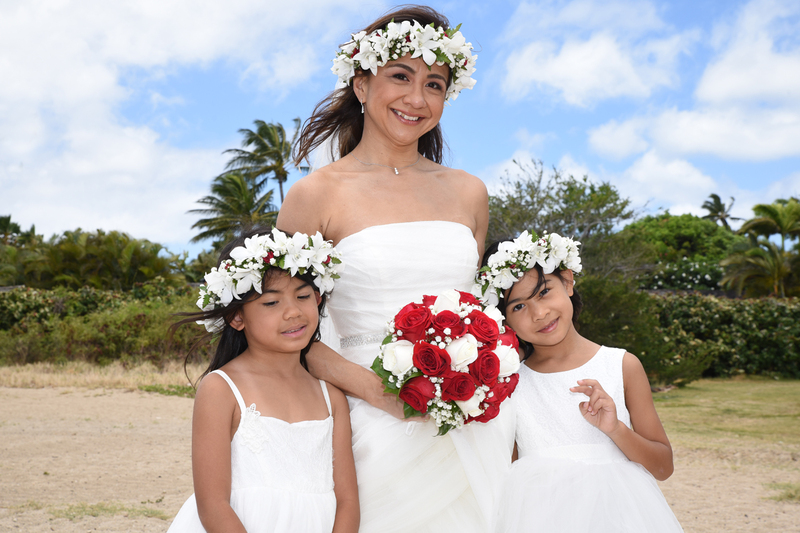 Hawaii Bride Rachelle with her two little flower girls. Red roses add a punch of color to the photos making them more striking.